Drusillas Zoo Park was one of the earliest zoos to open in the UK and was established in the 1920s. Today we are recognised as one of the very best small zoos in the UK and currently have some 800 animals and over 100 species. We are members of BIAZA (The British Association of Zoos and Aquaria) and EAZA (The European Association of Zoos and Aquariums). Our keepers and our management team work to high ethical standards to ensure Drusillas remains one of the best zoos in the country both for visitors and for our animals. Many of the animals at Drusillas are involved in breeding programmes, often monitored by studbook keepers, to ensure the future survival of a species. Primates in particular are a cause for concern. A large number of primate species are seriously threatened with extinction in the wild. There are many reasons for this, including forest clearance and illegal hunting to supply the bushmeat trade. Zoos and other animal collections help primate conservation, both through education and by captive breeding programmes. For many animal species, there will be a studbook keeper tasked by the European Association of Zoos and Aquaria (EAZA) to monitor captive populations throughout Europe. Drusillas cooperates closely with studbook keepers who collect data on animals held in collections, and enter it into a studbook. This information includes details on which animal is related to which and monitors all the births, deaths and movements of animals between collections. Drusillas has been recognised by the Zoo Information Management System (ZIMS) for its high level of data accuracy. Animal records are important to animal collections; they are a bit like the records that doctors keep on humans. ZIMS maintains the information provided by the zoological community on an international scale, so its members can track the movement of an animal along with its genetic background. Drusillas falls into the top 5% of all zoos worldwide that use the animal record keeping system for their high level of data precision. In order that we can ensure our animals receive the best care, keeper training is paramount at Drusillas, both in-house and through external courses. Most keepers study the Diploma in the Management of Zoo and Aquarium Animals which allows them to gain a broader understanding of how zoos work and improve their knowledge of animal care, husbandry diets, enclosure design and enable them to carry out research into areas that they might not otherwise have the opportunity to explore. Drusillas Zoo Keepers and external students also undertake research at the Park, which is used by other zoos and can sometimes be published. For example, our Head Keeper, Mark Kenward, recently won the Best Presentation Award at the mammal working group conference for one of his research projects which not only benefits the animals at Drusillas but animals at other collections. The importance of conservation is highlighted at Drusillas in the Discovery Centre. At weekends and during school holidays, Drusillas volunteers bring out an array of animal artefacts for visitors to see and touch. Many of the artefacts come from endangered species and are on loan from HM Revenue & Customs, so they can be used to raise awareness and educate. These artefacts are also used in some education sessions for school groups. Since 1996, we have raised over £70,000 to help support wildlife and education programmes in Kenya. Re-launched in 2010, the Drusillas in Africa project provides grants for young Maasai students to obtain a formal qualification in Nature Conservation, which can be used to support them in research work into endangered species such as the Grevy’s zebra. We are currently supporting 31-year-old Kenyan student Enrita Naanyu Lesoloyia to undertake a Masters degree in Environment and Community Development. The Lion Tamarins of Brazil Fund raises money towards research being carried out in Brazil for these endangered primates. The research is fundamental in conserving these beautifully bright tamarins and we are proud to have raised over £23,143 so far. These funds go towards securing and protecting areas of forest and sponsoring local conservationists in Brazil. 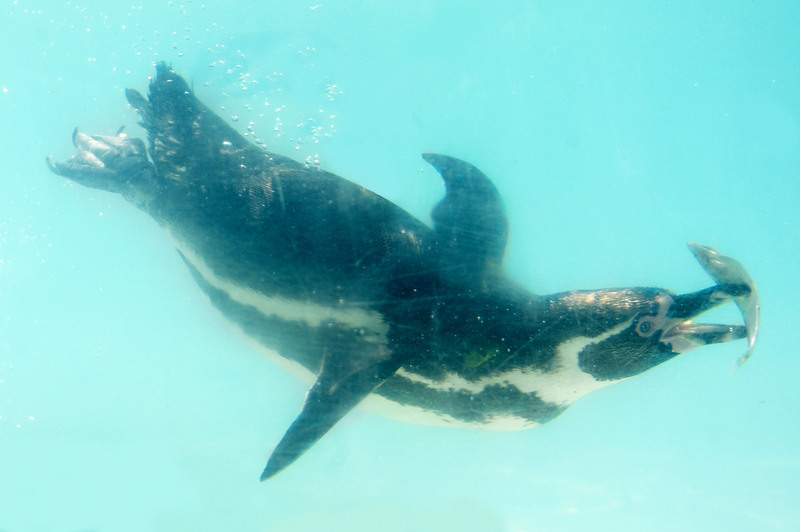 Drusillas supports the Falkland Island Penguin Appeal. This appeal supports fieldwork which monitors penguin species on the island and to date we’ve raised over £11,725. The fieldwork involves analysing numbers and breeding success. Habitat destruction is of great concern and the charity works with Governments to secure safe nesting areas for the birds.